Fall for our prices — 40% OFF! Discover the unique & interactive exhibits at the Museum of Pop Culture. Your visit will begin at Seattle’s Museum of Pop Culture, a pioneering depository that happily pushes the envelope of cool. Enjoy a highly stimulating and wondrous tour de force of monumental pop cultural influences. Through extensive and remarkably life-like exhibitions, collections and programs, one is immersed in the touchstones of pop culture. You will enjoy a private tour to explore such exhibits as the exclusive Marvel Universe of Super Heroes – that runs only through January 6, 2019. 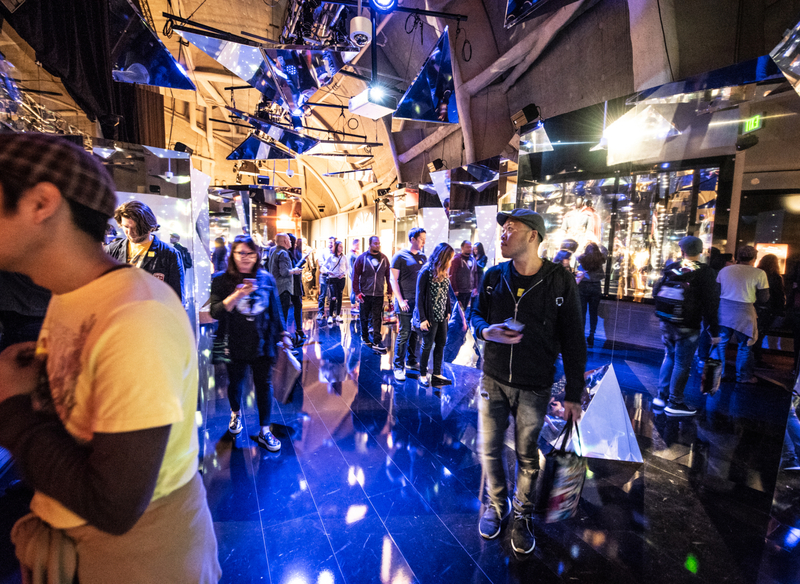 From Jimi Hendrix, Nirvana and Pearl Jam, to the wide and wonderful universe of super heroes in comics and film, the unparalleled interactive exhibits concept comes to life in this one-of-a-kind, and truly unforgettable, experience. Afterwards, enjoy a private reception in the Blue Lounge. Relax with appetizers, some tasty drinks and engage in lively, reflective conversation about your favorite parts of the tour. •	The views of the majestic skyline and the glorious Olympic Mountains are highlights of any trip to Seattle. •	For a limited run through January 6, 2019, the Museum of Pop Culture features the exclusive Marvel Universe of Super Heroes exhibit. •	U.S. News & World Report listed sleek and stylish Motif Seattle’s Frolik Kitchen + Cocktails among the 10 Best Rooftop Bars in the country. •	Seattle’s Pop Culture Experience private tour; includes transportation, all taxes and fees, and a private reception with appetizers and 2 drink tickets (valid for beer or wine). Airfare is not included in the trip price! The closest commercial airport to the hotel is Seattle-Tacoma International Airport (SEA), approximately 14 miles (22.5 kilometers) away. We highly recommend that you purchase travel insurance for any trip. This trip will close by November 12. In little more than 160 years, Seattle, Washington, has grown from a frontier settlement to the biggest city in the Pacific Northwest. The “Emerald City” regularly ranks high on lists of the country’s most livable cities, due in large part to its temperate marine climate, lush evergreen forests and a robust economy that is bolstered by some of the world’s most influential companies, including Microsoft®, Amazon and Starbucks®. Situated on the isthmus between Puget Sound and Lake Washington, Seattle boasts some of the freshest seafood imaginable. Landmarks include the Space Needle, Pike Place Market and The Museum of Pop Culture. 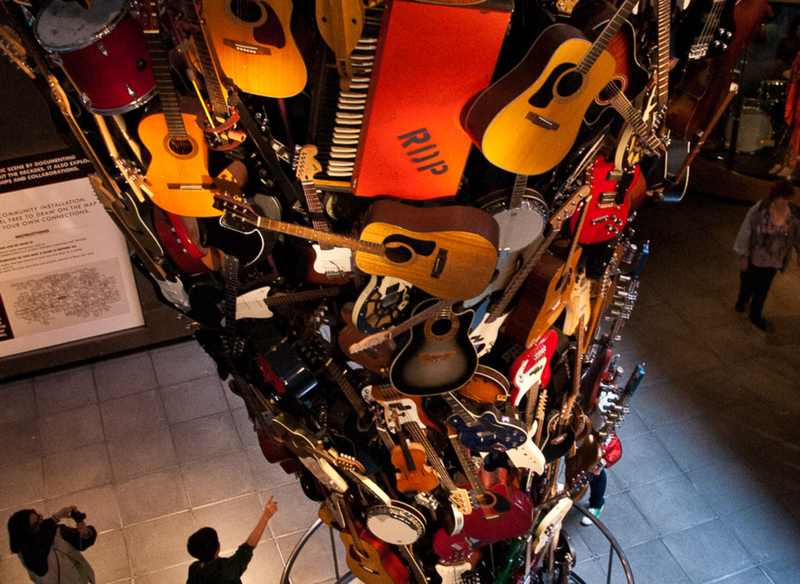 Among its cultural contributions, Seattle is well known for its prolific music scene, which spawned the grunge rock movement of the 1990s and was the launch pad for acclaimed artists including Jimi Hendrix and Ray Charles. On top of other exciting excursions, Platinum Members will be treated to an exclusive dinner at the Hard Rock® Cafe on Day 2. Life is great when you’re a Platinum Member! Day 2: Platinum Dinner at Hard Rock Cafe. •	6:30 p.m.: Gather at the Hard Rock Cafe. •	7-9 p.m.: Enjoy dinner; includes a starter salad, choice of entree and dessert per person. • Host choice of house or Caesar salad. • Choice of soft drink. • Original Legendary Burger - A juicy half-pound certified Angus beef burger, prepared medium well, topped with smoked bacon, cheddar cheese, golden fried onion ring, crisp lettuce and vine-ripened tomato. Served with fries. Veggie Leggie (vegetarian) option available. • Grilled Salmon - 8-oz. filet, topped with herb butter. Served with Yukon Gold mashed potatoes and seasonal vegetable. • New York Strip Steak - USDA choice 28-day aged, 12-oz New York strip, seasoned and fire grilled. Topped with herb butter and served with Yukon Gold mashed potatoes and seasonal vegetable. • Hickory-Smoked Barbecue Combo - Tender St. Louis-style ribs and chicken breast, both basted with hickory barbecue sauce and served with fries, cowboy beans and citrus coleslaw. • Twisted Mac Chicken and Cheese - Cavatappi macaroni tossed in a 3-cheese sauce with roasted red peppers, topped with parmesan parsley bread crumbs and grilled chicken breast. Served with garlic toast. • Cheesecake - served with coffee or tea. 1:30-6:30 p.m.: Seattle’s Pop Culture Experience private tour*; includes transportation, all taxes and fees, and a private reception with appetizers and 2 drink tickets (valid for beer or wine). •	1:30 p.m.: Depart from the hotel. •	2-4 p.m.: Arrive at the museum to enjoy the private tour, as well as free time to tour the galleries. •	4-6 p.m.: Private reception in the Blue Lounge; includes appetizers and 2 drink tickets valid for wine and beer. •	6:30 p.m.: Return to the hotel. *See list of exhibitions in Additional Information. An elegant and comfortably cosmopolitan hotel, Motif Seattle offers stylish rooms, innumerable amenities and a courteous, accommodating staff – not to mention unique design themes that local artists have proudly created. You will appreciate Motif’s ideal location just blocks away from the bustling Seattle Art Museum, Pike Place Market and world-famous Space Needle. •	Frolik Kitchen + Cocktails and Elephant & Castle Pub. •	Unlimited use of Fitness center. •	Unlimited access to press reader (digital content for 3.5k publications). •	Self-parking: US$32 per night. • Minimum occupancy 1 adult. •	City skyline or waterfront view. •	Hairdryer and robes for use during your stay. •	2 bottles water per room, per day. •	Alarm clock with personal music player docking station. Gratuities are not included. We suggest US$2 per day for housekeeping, and US$5 per trip for porterage. •	Indie Game Revolution sponsored by Nintendo - the most groundbreaking and creative work in contemporary video game culture. •	Nirvana: Taking Punk to the Masses - the world's most extensive exhibition of memorabilia celebrating the music and history of Seattle rock luminaries, Nirvana. •	Fantasy Worlds of Myth and Magic - view an original manuscript page from Game of Thrones, See the Wicked Witch of the West’s hat from The Wizard of Oz, weaponry from The Lord of the Rings, the battle headdress and staff used by the White Witch in The Chronicles of Narnia, and other iconic costumes and props from TV and the silver screen. 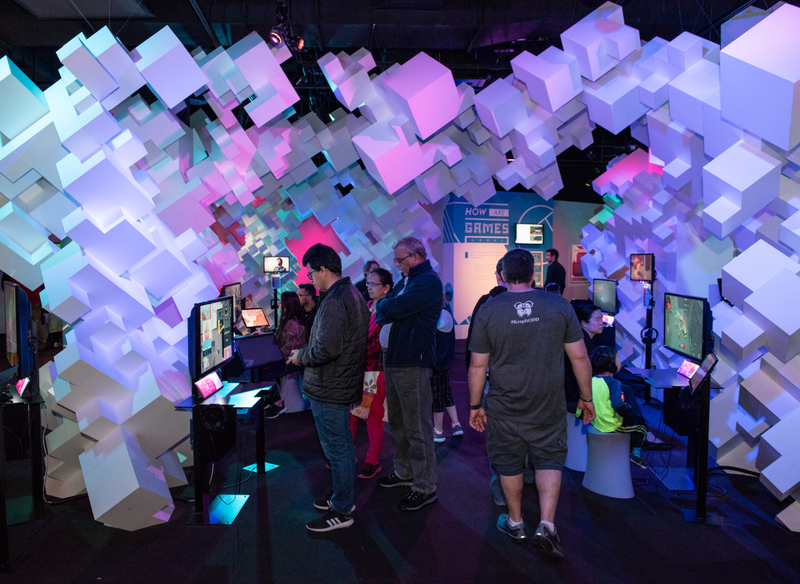 •	Sound Lab - Multimedia installations invite hands-on interaction so that visitors can explore the tools of rock 'n' roll through electric guitars, drums, samplers, mixing consoles, and more. •	Hendrix: Wild Blue Angel - from 1966-1970 travel alongside the legendary Jimi Hendrix at the height of his fame. •	Scared to Death - features more than 50 props and costumes from film and television including A Nightmare on Elm Street, Friday the 13th, The Walking Dead, Buffy the Vampire Slayer, Bride of Frankenstein, Dawn of the Dead, Hostel, Jeepers Creepers, and Pet Sematary. •	Pearl Jam: Home and Away - first-hand look at Pearl Jam’s journey from 1990 to the present and into the future through more than 200 artifacts directly from the band’s Seattle warehouse. Name Change Policy: Name changes must be done no later than November 12, 2018 and are subject to a US$50 name change fee. Name changes after this date are not allowed.